Charlie7 has his secrets. Every robot knows that history has a dark period where he was the only one alive, with no one to corroborate his story. That was before an old adversary, long believed dead, emerges from hiding to expose Charlie7 as a fraud. 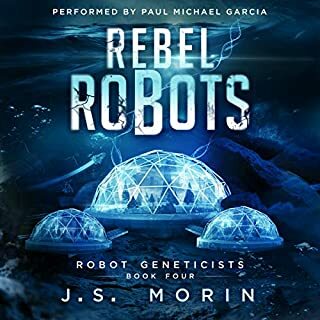 With a newfound internship mixing new robotic personalities, Rachel Eighteen stumbles across an old file in the archive that no robot can access. The data it contains could upset the underpinnings of the thousand-year-old robotic civilization. Extremely enjoyable continuation of the story! After millennia of oppressive dogma, one rebellious woman seeks to change it all and spark a galactic enlightenment. 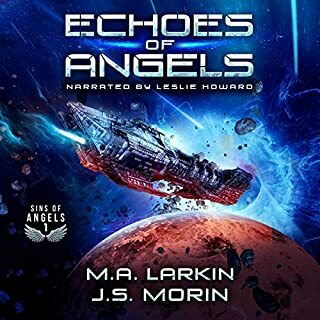 When Rachel Jordan dares to question the ancient beliefs governing her world, she finds herself alone. For refusing to conform, the inquisitors have branded her a heretic. Redeemers have hunted her to a remote corner of the universe, intent on forcing her back into obedience. But she isn’t hiding. Armed with proof that the angels who saved mankind weren’t angels at all, she will break this cycle and bring freedom to humanity! They found a planet where none belonged. They should have left it alone. 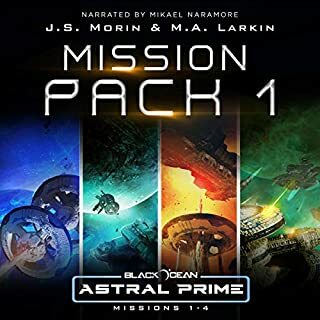 This audiobook includes the first four missions in the Black Ocean: Astral Prime series. Kyrus had lived a quiet life as a scribe until his dreams begin seeping into his waking life. Fanciful tales of magic and battle turn out to be real. In his sleep, he witnesses the adventures of his twin. Kyrus is swept up in the intrigues of those who already know of this connection between worlds. As his knowledge of the two worlds grows, so does his entanglement in the intrigues between them. 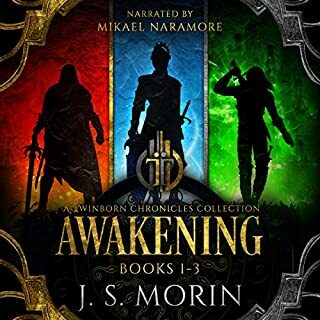 Kyrus discovers friends, lovers, and adversaries among the twinborn. His knowledge of magic grows until he becomes a valuable pawn for masterminds of plots that threaten empires. Zack Quick has been on the move for 10 years, hacking big corporations and exposing their secrets. Then he stumbles upon one of the biggest discoveries that will forever change the world - and possibly get him killed. 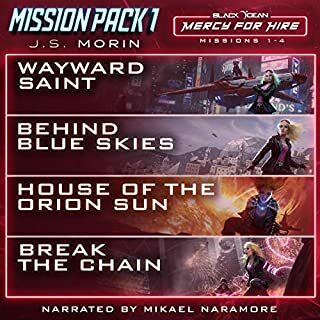 Kaylan Farrow is the pilot for Earth's most advanced spaceship, whose maiden voyage is supposed to take her crew to Titan, but newly released images from a deep space probe threaten to cancel the mission. The red planet will run red with blood. Martian terraformer Kaylee Fourteen is a recent immigrant from Earth. Residents of the domed colonies of Mars can practically smell the day they’ll be able to walk outdoors on their own planet without the need for air supplies. 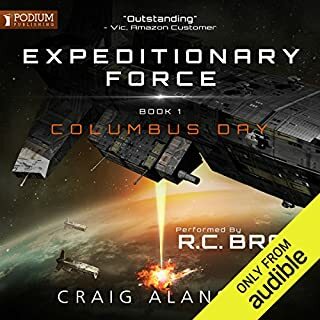 But the committees on Earth control the resources the colonists need, and their interference threatens the terraforming project’s very existence...until a group of radicals takes hostages to force the release of the tech and materials the terraformers need. Caught in the crossfire, Kaylee has to navigate the delicate line between sympathy for her captors’ goals and horror at their methods. If she can’t keep the peace and find a way to get the hostage-takers what they ask for, humans and robots alike will pay with their lives. How can anyone negotiate a hostage crisis with a bomb locked around her neck? 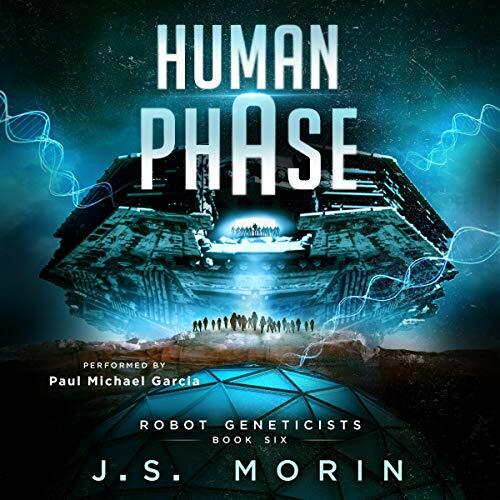 The fate of two worlds and the balance of power between humans and robots hang on that answer. The story of this book revolves around Mars. Mankind has expanded to Mars and the people who are there have developed an independence from the robots and want a more human centrist society. Upon moving to Mars one of Eve's great granddaughters runs afoul of this group and is taken captive as hostage. Since Eve's health has deteriorated it falls on Abby to try and negotiate with them. This book is full of surprises and many twists and turns. It is a very well written book and does a good job of concluding the series. The narration is outstanding as it has been throughout the series. This book was provided free of charge with the expectation of an honest review.